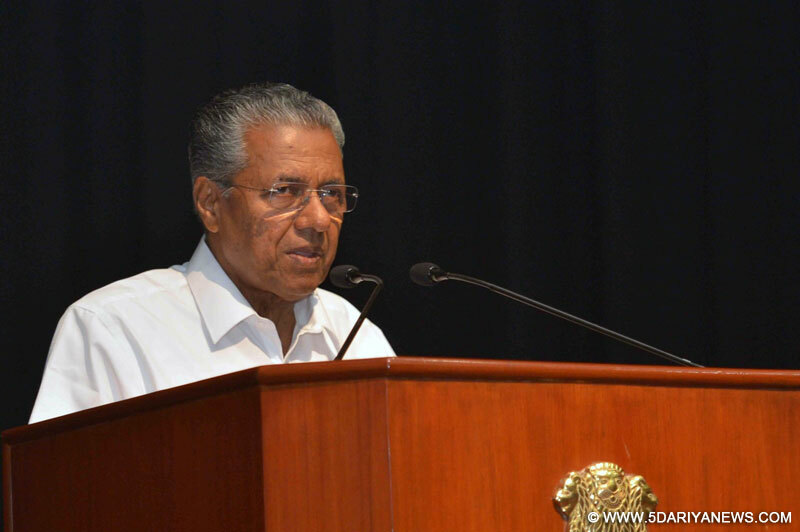 Following an opposition protest, Kerala Chief Minister Pinarayi Vijayan's office on Tuesday announced cancellation of an official order that envisaged deducting from the Ockhi cyclone relief fund the expenses incurred on his helicopter ride to cyclone-hit areas.Vijayan flew on board a chartered chopper on December 26 from Thrissur, where he was attending a Communist Party of India-Marxist meeting, to the state capital to meet a central team that had come visiting from Delhi to study the damage caused by the cyclone on November 30.After the meeting, Vijayan flew back to Thrissur. His government had debited the chopper ride's expenses to the relief fund. "It's really a shame that the money spent on the chopper ride was debited to the Ockhi relief fund account. It clearly shows that the Vijayan government is not at all serious in handling relief operations, which the fisherfolk need badly. This denotes a pathetic state of affairs," said state Congress President M.M. Hassan.Vijayan's office said on Tuesday evening that officials were not in the know of things and as soon as they came to know, the order was withdrawn.